It’s a little annoying when a confirmed invitee doesn’t show up for a birthday party – but does this mum’s reaction take the cake? 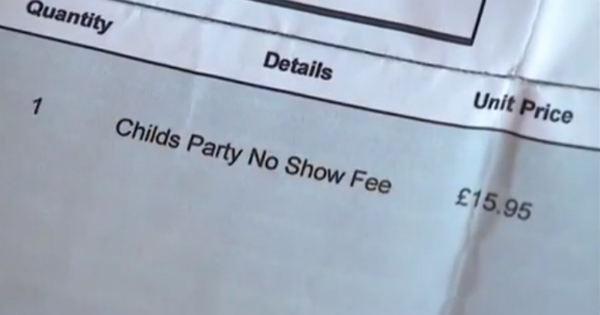 The parents of five-year-old Alex Nash were stunned to receive a £15.95 (AUD$30) invoice after their son didn’t make it to his classmate’s birthday party. Derek Nash and Tanya Walsh found a brown envelope with a “no-show fee” in Alex’s schoolbag last week. It was sent by his classmate’s mum, Julie Lawrence, and threatens legal action if they do not pay. Ms Lawrence claims Alex’s non-attendance at the party – at the Plymouth Ski Slope and Snowboard Centre – has left her out of pocket. She says her contact details were on the invitation and they could have let her know Alex wouldn’t be there. 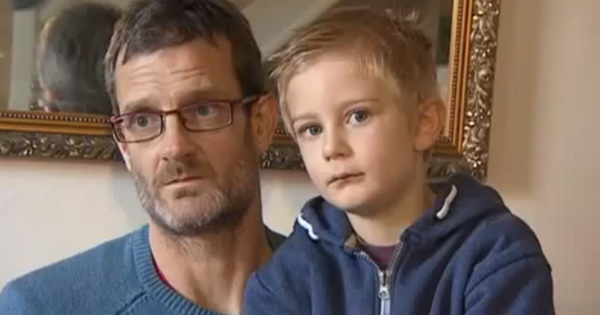 Alex’s parents say they did initially confirm he would be at the party, but on the day realised they had double-booked. Ms Walsh says she searched for the party invitation but couldn’t find it. Ms Walsh says she contacted Ms Lawrence via the Facebook details listed on the invoice to apologise and explain why her son hadn’t attended the party. “She does not want to listen and now says she wants to go to small claims court about it,” she writes on Reddit. Mr Nash says he also visited Ms Lawrence at the address given on the invoice to tell her it wouldn’t be paid. “I can understand that she’s upset about losing money. The money isn’t the issue, it’s the way she went about trying to get the money from me. She didn’t treat me like a human being,” he says. What do you think – fair or over the top? Tell us below.